If you’re plagued by dental problems like missing, or worn-down teeth, you’ve probably begun to weigh your options with regard to repairs and replacements. Your life may be interrupted occasionally by pain in your teeth or gums, or embarrassment over your difficulty chewing, or the unsightly gaps left by tooth lost. At Beverly Hills Periodontics and Dental Implant Center, we want you to know that these kinds of issues are not simply an inevitable part of aging. They are preventable and treatable through the use of dental implants in Pasadena and elsewhere. At Beverly Hills Periodontics and Dental Implant Center, you’re getting the most advanced implant cosmetic dentistry and the best patient care possible at extremely competitive implant costs. 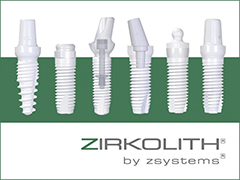 Dr. Soleymani is very excited about some recent technological breakthroughs in the world of dental implants in Pasadena and elsewhere that will be very encouraging for patients who suffer from ill-fitting dentures, or intrusive, deteriorating bridges. A growing number of patients are eligible for dental implants in Encino and elsewhere that will feel like real teeth, and make patients’ smiles look natural and even youthful. What’s more, dental implants in Hollywood can replace old ill-fitting dentures or bridges. One of the most affordable and efficient ways of stabilizing dentures would be to use two or four implants and to use them for an anchor for your dentures. Thanks to the simple process Dr. Soleymani uses, many patients with time constraints are able to receive immediate dental implants in Los Angeles. In a growing number of patients, one-hour dental implants, once the stuff of science fiction, become a reality. This simply means in certain cases a temporary cap can be placed immediately and the permanent cap will be placed a few months later once the implant has matured into the jawbone. Imagine having a new tooth in place of that uncomfortable gap, and in only an hour! Call (310)275-4606 or use our contact page to get in touch or to simply learn more about dental implants in Pasadena.